Chakra is a buzzword in the spiritual healing and aura-related fields. There are a lot of questions regarding chakras and their meanings and how to see your chakras. While the concept might seem new to you, the concept of aura chakras have been around for hundreds of years and is a part of ancient Indian thought. Many people don’t realize that chakra is connected to yoga and regular practice of yoga can keep all chakras within the body in an aligned and healthy state. Chakras are a series of energy gates that exist within the body at different locations. 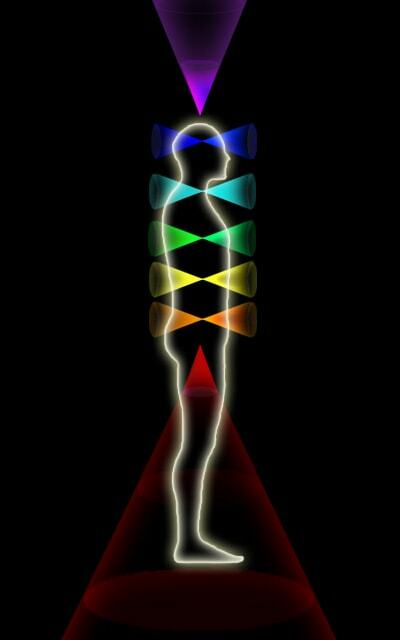 Each chakra point is thought to be perfectly aligned with the others and the entire system works as a conduit for your mental and spiritual energy. These gates will transfer the natural energy generated to different areas of your body. They’re made up of energy as well and literally mean “wheel of spinning energy” in Sanskrit. Chakras can also draw energy from the cosmos and environment and channel it through your body. There are several primary chakras and there are hundreds of secondary ones in and around the body. Muladhara or root chakra. It’s the bottom most chakra located and establishes a connection with earth. This chakra is red. Svadhisthana or sacral chakra. It’s the next chakra in the order and is placed directly above the root chakra. This chakra is orange. Manipura or solar plexus chakra. This chakra appears above the sacral chakra and as the name suggests, is located underneath the solar plexus. It’s yellow. Anahata or heart chakra. You’ll find this wheel at the center of your chest. It’s green in color. Vishuddha or throat chakra. This pale blue colored chakra is located above the heart chakra in the middle of the throat. Anja or third eye chakra. This is dark blue or indigo in color and is located in the center of the forehead. Sahaswara or crown chakra. This is the only primary chakra that’s believed to be located outside the body. It sits above your head and will connect your mind to the spiritual plane. Blockages – Your spiritual energy flows smoothly through all of these portals and gates. If one or more of these gates are blocked, your entire chakra system will become unstable. Misalignment – Sometimes the chakra wheels can become misaligned. That can disrupt the smooth flow of energy and cause energetic imbalances. An ideal way to address this is to exercise or perform yoga regularly. Chakra basics are simple so this article is only a brief introduction to the concept but how much more detail you search for and learn is up to you. Every chakra has a purpose so to truly understand this system it is recommended to study each chakra carefully.